Gatehaven is a gothic novel with a strong Christian message, based on Ephesians 6:11: Put on the whole armor of God that ye may be able to stand against the wiles of the devil. Set in a scary mansion in the north of England in 1794, Shannon Aimee and Ian Colquhoun battle an evil Frenchman with dark secrets. 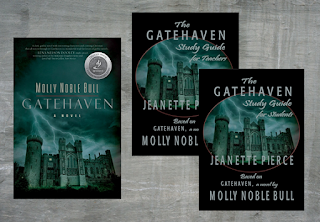 The Gatehaven study guide is a pair of workbooks for students and teachers that is designed for use with Gatehaven, an award-winning novel by Molly Noble Bull. In this Bible-based study of spiritual warfare vs. the occult, documented background information provides a picture of life in England and Scotland during the late 1700s, emphasizing the status hierarchy and its effects on the people, especially those on the lower rungs of the social ladder and the Protestant Reformation, some of its leaders, and its effects on religion in Europe. Also included are study questions for each chapter of the novel, a vocabulary list, questions related to the structure of the novel, and a writing assignment that students can complete independently of the teacher. 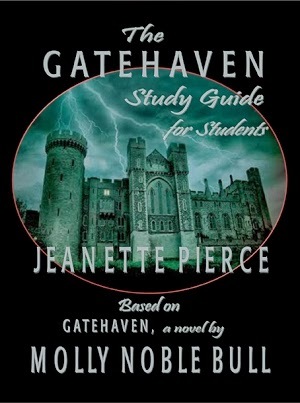 The Gatehaven study guide set is designed for 8th thru 10th grade students, but older students and adults can also use it. It is available in both e-book and paperback versions. The teacher’s guide contains the answers and grants permission for the teacher to make copies of the final exam. 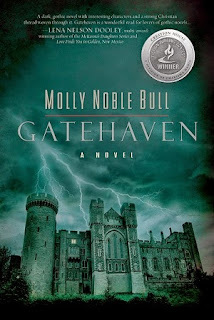 Molly Noble Bull is a multi-published Christian novelist from South Texas, and Gatehaven is the grand prize winner of the 2013 Creation House Fiction Writing Contest. As a result, it was published in trade paperback and e-book in March 2014. Molly’s next novel, When The Cowboy Rides Away, is scheduled for publication in 2015. Jeanette Pierce is a retired English teacher living in Houston, Texas. She holds a master’s degree and has taught at high school and college levels. 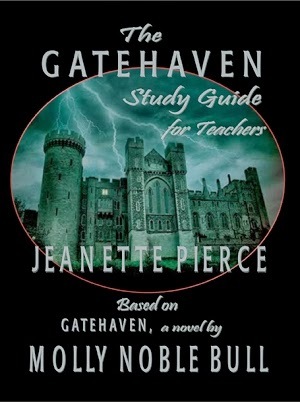 The two study guides for Gatehaven are her first published works, but stay tuned. Jeanette is currently working on study guides for When The Cowboy Rides Away.